An impressive, well honed WW2 story, this time about 'War Brides'. First spotted on Josie-Mary's blog, this fictional wartime novel caught my attention and I wanted very much to see what it was all about. Amazon was my first stop as usual and I chuckled at the 2,629 reviews already posted, more than half of these 5 stars. I was on to a winner and the rest is as they say, history. Author Helen Bryan is not a Brit as I first imagine but she certainly grasps the very elements of British life, particularly during the conflict times of the 1940's. From the onset this noteworthy story follows five remarkable young women: Alice, Elsie, Frances, Tanni and Evangeline each a War Bride, their lives intermingled through the good times and the hard times of wartime England in a little village called Crowmarsh Priors. Alice, Elsie and Frances are British, yet their backgrounds are as dissimilar from one another as day and night. Alice is a vicar's daughter who cares for her emotionally dependent mother. Elsie hails from the East End of London and has been taken in service until she joins the Land Girls. Frances' father is a member of the Admiralty and had a privileged upbringing. Tanni is a Jewish refugee newly arrived in England and Evangeline is an American from New Orleans who marries Richard, a British Naval attache at the onset of the war. Together these women survive bombardments, rationing and the emotional stress induced by war time separations from their loved ones whilst bringing to each other some measure of comfort and at times, surprising skills. Tanni is nothing but a child herself when she first arrives in England with her new husband, yet she is expecting. She dreams of finding a way to bring her twin sisters and parents to safety someday. Free spirited Evangeline escaped a brutal matrimonial match by seducing Richard and sails to England with her new husband only to face a whole new way of life in Crowmarsh Priors. Richard however had first proposed to Alice, deemed a real brick by many, thus making the situation most difficult for all concerned. Drawing from civilian and military wartime accounts and inspired by the fiftieth anniversary of Victory Day Helen Bryan skillfully draws a breathtaking plot line around these women united by friendship and loyalty, their loved ones and the shadow of a mysterious traitor. Beginning with Boxing Day in 1937 until their reunion in the Spring of 1995, War Brides' unfolds as each woman's story propels you into War riddled Britain, leaving you with nothing but admiration for these women' endurance, both physical and emotional. A dramatic ending binds each of these courageous young women, giving them the opportunity to put to rest a niggling question 50 years after the end of the War. 5 Stars! A great plot line for the cinema from an excellent author! Helen Bryan was born in Virginia, grew up in Tennessee, graduated from Barnard College and lives in London where she qualified as a barrister and is a member of the Inner Temple. She left the Bar to write full time after publication of her first book, a layman's guide to the English planning system "Planning Applications and Appeals". Her second book was a biography, "Martha Washington First Lady of Liberty," awarded a Citation of Merit by the Colonial Dames of America. 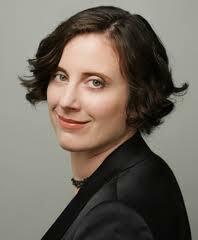 She is the author of two bestselling historical fiction novels. The first "War Brides" is a World War II saga inspired by family holidays in a small East Sussex village, the wartime reminiscences of older relatives and friends, and the true life stories of the brave young women who joined Churchill's Special Operations Executive. Her new novel "The Sisterhood" is a romantic/religious/mystery saga spanning 400 years, set in sixteenth century Spain and Spanish America and featuring an unlikely modern heroine. Note: As always please remember that unless stated otherwise, this review reflects ONLY my opinion! 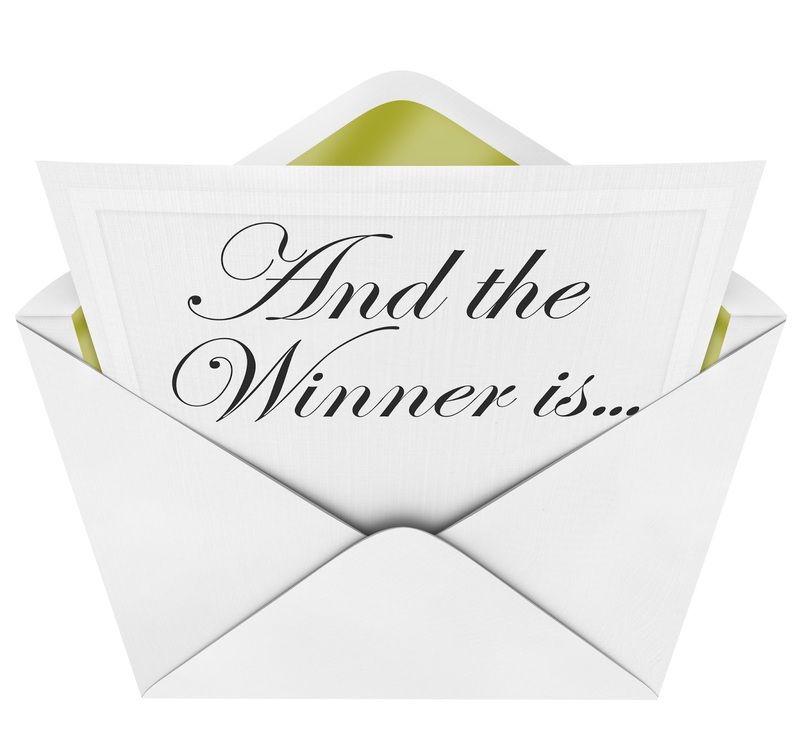 Sharing books and announcing a GIVEAWAY WINNER is always a pleasure! I'd like to be counted in for this one. I hope its open to all! CONGRATULATIONS! I'll contact you shortly to confirm your postal address! KAYLEE, you will receive 'Daughter of Jerusalem' as well! I will put it in the post as soon as I get off island, that's a promise! 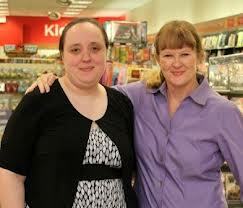 Thank you both for entering and I hope you will enjoy your book as much as I did! A heartfelt thank you to both WORTHY PUBLISHING AND AUTHOR JOAN WOLF for making this GIVEAWAY possible! Neda is born in Tehran’s Evin Prison, where her mother is allowed to nurse her for a few months before the arms of a guard appear at the cell door one day and, simply, take her away. In another part of the city, three-year-old Omid witnesses the arrests of his political activist parents from his perch at their kitchen table, yogurt dripping from his fingertips. More than twenty years after the violent, bloody purge that took place inside Tehran’s prisons, Sheida learns that her father was one of those executed, that the silent void firmly planted between her and her mother all these years was not just the sad loss that comes with death, but the anguish and the horror of murder. A mosaic of idealist Iranis facing decades of turbulent political changes, 'Children of the Jacaranda Tree' reminds us how precious freedom is and how little we acknowledge its absence outside of our borders! This is Sahar Delijani's writing debut and well worth reading! Hard view critics might debate about its veracity or fault the extent to which she portrays Evin's prison ominous rules. However the malevolent shadows haunting its survivors and their children, viewed through her own parents' prison accounts and the years following their release was her inspiration . 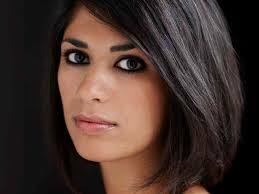 Sahar Delijani herself was born in Evin in 1983. This is not therefore the latest recount of misguided post revolution tenets but as highlighted, the results of the abusive cycle behind the facade. Once reknown as a beautiful country with endless ideals Iran survived a wretched war with its neighbour only to be trampled by terror under a system designed to control its citizens. In 'Children of the Jacaranda Tree' Ms. Delijani chose to underline the repercussions this system ultimately has on three generations by telling us the fictional stories of Neda, Omid and Sheida. Beginning in 1983 with Teheran's infamous prison, the novel unfolds, one layer at a time until its closure in another country in 2011. Bittersweet sadness encompasses love and hope, yet obviously remains shadowed by this rigid and unforgiving system. Fragments of young lives now extinguished like burnt out candles, often hidden in mass graves, fears and hopes of survivors for their children and the extent to which these children still suffers are all part of the many tableaux Ms.Delijani brings us in her story. A deeply moving reminder of Evin's helpless prisoners and the families who stand vigil outside its walls waiting for a word about their incarcerated loved ones, this is a novel you will not want to miss! There is poetic justice behind this poignant story, actually palpable in its denouement, reminding us that everything comes full circle and as long as there is life, there is hope! Note to Readers: Further information about Iran's present situation can be obtained at Amnesty International (HERE). 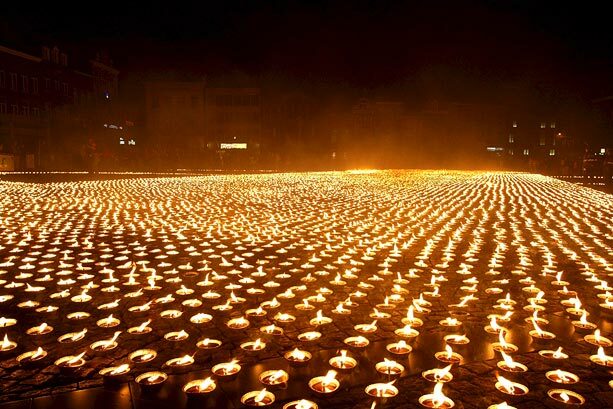 Amnesty International's logo made up 26,105 burning candles on 5 June 2008. Sahar Delijani was born in Tehran's Evin Prison in 1983 and grew up in California, where she graduated from the University of California, Berkeley. Her work has been published in a broad spectrum of literary journals and publications, including The Battered Suitcase, Tryst, Slice Magazine, Prick of the Spindle, Perigee, Border Hopping, Berkeley Poetry Review, and Sangam Review. She was nominated for the 2010 and 2011 Pushcart Prize and was for a time a regular contributor to Iran-Emrooz (Iran of Today) Political and Cultural Journal. She makes her home with her husband in Turin, Italy. 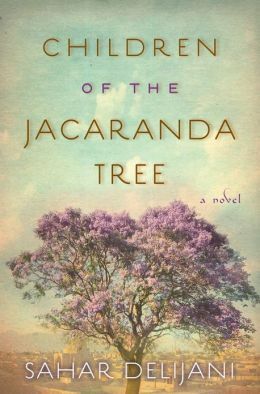 Children of the Jacaranda Tree is her first novel. NOTE: Unless stated otherwise reviews are NOT requested and reflects ONLY my opinion. If you ask a child (and some adults) angels, guardian angels even, are very much a part of our lives. 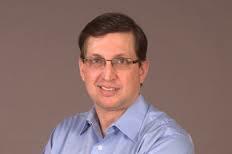 Dann Stadler and his wife were returning from an anniversary celebration when tragedy struck. A head on collision in the 1980's trapped them in their car, with little hope of being rescued from the inferno engulfing them. Yet as helpless bystanders watch on, miraculous help came in the form of a stranger who promptly vanished afterwards. This is their true story and how real life 'angels', those who stopped to help and pray at the time of the accident, the family, friends and neighbours who surrounded them with love and care, inspired them to live and bear witness to God's blessings. For this was not the last miracle...Again and again, the Stadler family believe they have been surrounded by God's unwavering love. Powerfully written, an inspiring story guaranteed to touch your heart and well worth sharing with your loved ones as you bask in His glory. I would like to recommend this book for mature readers only due to the dramatic events recalled. 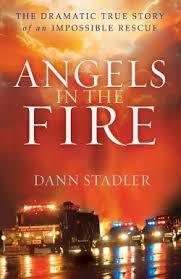 Dann Stadler is an energetic speaker, author, father, husband, and tireless advocate for Christ. Creator and author of the popular website saturdayspromise.com, he encourages readers to live in Saturday's Promise, where the sins of our past are being vanquished by the promise of his resurrection tomorrow. I received a paperback copy of this title from BETHANY HOUSE PUBLISHERS as part of their blogger review program . I am disclosing this in accordance with the FTC 16 CFR, Part 255 'Guides concerning the use of endorsements and testimonials in advertising. I was not asked to write a positive review and all opinions expressed are entirely my own. 'A Big Year For Lily' is the third installment in The Adventures of Lily Lapp series anticipated by many children (as young as 6 years old it seems) if rumours are true. A new 'Anne of Green Gables' or 'Little House on the Prairie' perhaps? Thanks to the teamwork of Mary Ann Kinsinger and bestselling author Suzanne Woods Fisher, it is an ideal introduction to the world of Amish children as you will remember from the previous titles ('Life with Lily' reviewed HERE and 'A New Home for Lily' reviewed HERE). 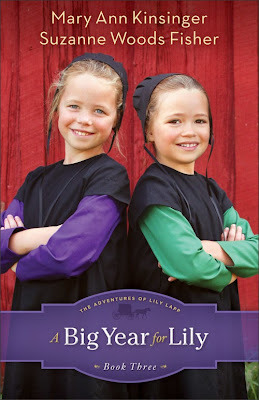 From the beginning Lily won our heart with her big smile and spunky attitude as the enticing cover shows. The little girl shown illustrates the delightful character we have discovered in Suzanne and Mary Ann's warm hearted stories! Throughout the story we see a little Amish girl who feels just like any other child and lives in a secure environment where everyone helps their neighbour...A few lessons to be garnered for most of us! A heartfelt thank you to both authors for a story you will not hesitate to share with children age 8 to 12 and even the younger ones. Parents and Grandparents will enjoy sharing these delightful adventures with their families. I am a fan Folks, so I give 5 stars! Psst: A new adventure entitled 'A Surprise for Lily' will soon be published! Stay Tuned!! Her interest in the Anabaptist cultures can be directly traced to her grandfather, who was raised in the Old Order German Baptist Brethren Church in Franklin County, Pennsylvania. Suzanne is a Carol Award winner and a Christy Award finalist. She is a columnist for Christian Post and Cooking & Such magazines. She lives in California. 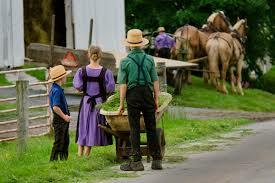 Mary Ann Kinsinger was raised Old Order Amish in Somerset County, Pennsylvania. She met and married her husband, whom she knew from school days, and started a family. After they chose to leave the Amish church, Mary Ann began a blog, A Joyful Chaos, as a way to pass on her warm childhood memories to her own children. From the start, this blog found a ready audience and even captured the attention of key media players, such as the influential blog AmishAmerica and the New York Times. She lives in Pennsylvania. Suzanne Woods Fisher and Mary Ann Kinsinger are celebrating the release of A Big Year for Lily, book three in the beloved Adventures of Lily Lapp series, with a giveaway extravaganza! 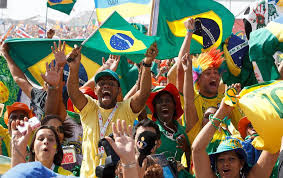 Today is the 28th World Youth Day, celebrated in Rio de Janeiro, Brazil by thousand of young pilgrims! These young people came from all over the world to be together! In His name, we pray! “The Youth are the window through which the future enter the world”. When Czechoslovakia relinquishes the Sudetenland to Hitler, the powerful influence of Nazi propaganda sweeps through towns and villages like a sinister vanguard of the Reich's advancing army. A fiercely patriotic secular Jew, Pavel Bauer is helpless to prevent his world from unraveling as first his government, then his business partners, then his neighbors turn their back on his affluent, once-beloved family. Only the Bauers' adoring governess, Marta, sticks by Pavel, his wife, Anneliese, and their little son, Pepik, bound by her deep affection for her employers and friends. But when Marta learns of their impending betrayal at the hands of her lover, Ernst, Pavel's best friend, she is paralyzed by her own fear of discovery—even as the endangered family for whom she cares so deeply struggles with the most difficult decision of their lives. Alison Pick's remarkable prose shows both the beginning and the end of one family's struggle for survival in a world gone mad. What makes her novel stand out is not just the human elements but the emotions felt by each character! For many Anne Frank's diary and Herman Wouk's The Winds Of War top of course the list of WW2 novels depicting the harrowing events leading to the 'final solution'. 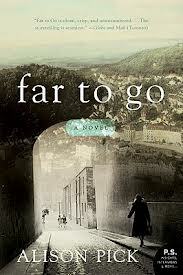 In her novel 'Far To Go' Alison Pick includes letters ending with heartbreaking footnotes such as (Filed Under, Bauer, Lore, Died Birkenau, 1943) but to catalog this fictional story is nearly impossible. Epic? Drama? Love story? Suspense? Take your pick, I'll wager however you will find this story unforgettable! There is almost an under layer of persona in her writing, her own search for identity coming out strongly. 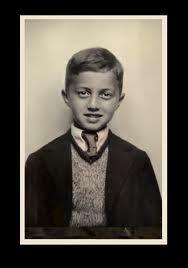 In 1939 Pavel Bauer, his wife Anneliese and their son Pepick live in Sudetenland. Like many secular Jews, Pavel's first allegiance is to Czekoslovakia, he cannot begin to conceive the extent of the Nazi's dark forces which threatens Europe despite the rumours circulating. As the story unfolds young Martha, Pepik's nanny, becomes the pivot of this poignant recollection of dramatic events the Bauers are helpless from preventing. 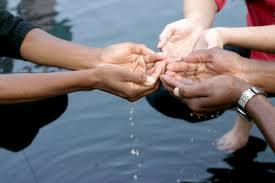 Hope is dimming as realization hits: no one can be trusted, neither neighbour or business acquaintance. 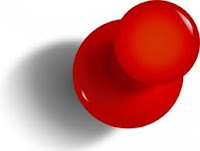 Allegiances just shifted overnight leaving those who thought themselves different (because they did not practice Judaism), bewildered and friendless. The author does a remarkable job of portraying each character, their hopes, their dreams and yes, even faults, including the crucial role of the Kindertransport, and its humanitarian outcome.The story is at times poetic, at times crude but always realistic and ultimately beautiful! As in all praiseworthy stories, there are good things and bad things happening in the Bauer's future. Juxtaposing the past and the present the novel brings readers a wealth of emotions not to be dismissed as they represent the very pillars of the plot line. 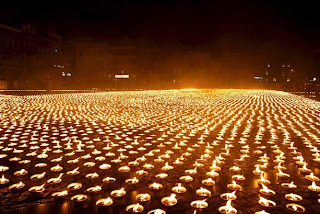 Such a dark hour (in our not so distant past) should always be remembered even if like the grains of sand, names and faces have been erased by time. Any attempt to ratify this period is our only way to witness, thus making sure it never happens again! Finally, Alison Pick's delicate prose shows the beginning and the end of one family's struggle for survival in a world gone mad but with a remarkable twist! Don't miss it! 5+ Stars!! Note: Due to Adult thematic contents, for mature readers only! Born in Toronto in 1975, Alison grew up in Kitchener, Ontario and in Quebec’s Eastern Townships. She has a BA in Psychology from the University of Guelph and an M Phil from Memorial University of Newfoundland and Labrador. Currently on faculty in the Humber School for Writers' Creative Writing by Correspondence program, Alison Pick in Toronto where she is at work on a memoir. Note to Readers: Unless stated otherwise reviews are not requested and this post reflect only my opinion! Belgium Independence Day And A New King! Today is a special day in Belgium as the diverse nation celebrates Independence Day and after saying farewell to King Albert II welcomes their new King, Philippe! 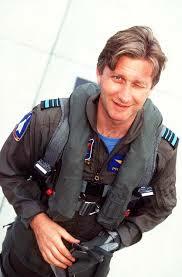 Prince Philippe, now officially King of Belgium, won every heart with his quick smile, aptitude for diplomacy and is a fully certified Air Force Pilot. 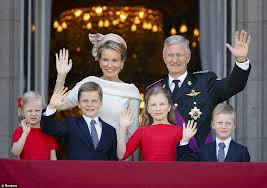 Together with Queen Mathilde and their four children, they present a wonderful feeling of continuancy! In this fictionalized story of one of the Bible's most compelling women, New York Times best-selling author Joan Wolf beautifully recreates the history, romance, and tradition of Mary's world. 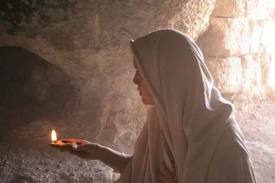 Daughter of Jerusalem follows Mary's life from her first love through her loveless marriage, to the moment she heard of a miracle worker in her own town. 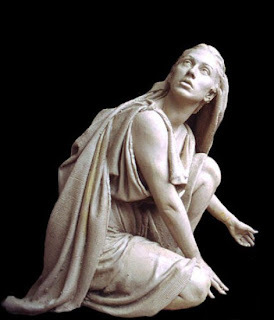 The young Jewish girl Mary of Magdala became during her lifetime a widow, an adulteress, a businesswoman and a follower of the Messiah. To date she is one of the best known women of the Scriptures but despite much speculation there is so much we do not know about her. 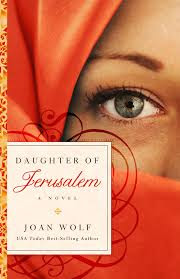 With her usual sensible approach Joan Wolf depicts a most tantalizing fictional story in 'Daughter of Jerusalem' about this beautiful woman who saw much hardship throughout her life including murder and much prejudice. 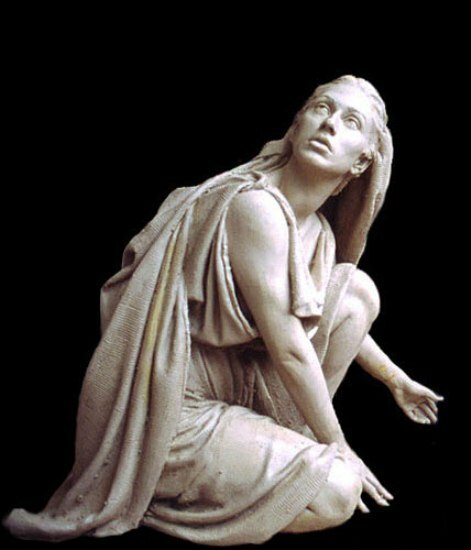 Unusually learned for the period, Mary of Magdala also witnessed the charismatic man called Messiah preaching and soon discovered her new faith. In fact, she became one of His most ardent followers! This is my second novel by Joan Wolf and by far the best of the two (see review of 'A Reluctant Queen' HERE). Carefully depicting the cultural and religious differences betwixt the Romans and the Jews, Wolf paints an almost modern woman in Mary, and does a great job of showing where Mary's distrust of the world of men comes from. There is pain but also joy in her plot line and she painstakingly portrays a pivotal era for Christians. Some critics might deplore the liberties taken by the author but as a student of the Word, I found this fictional work plausible and entertaining. For older teens and mature readers due to adult thematic contents. Joan was born in 1951 and she grew up in the Bronx, New York. A former English teacher, she obtained a Bachelor's degree in Mercy College and Master in English and Comparative Literature at Hunter College. She is also an avid rider and horse owner! I have some very good news for readers! Would you like to have your own copy of this inspiring story? Thanks to the generosity of both the author and WORTHY PUBLISHING I have a very sweet deal for you! On my desk is an extra copy of 'Daughter of Jerusalem' for one reader! Just place a comment on this post before the 29th of July and using Random.org I will chose and post the name of the winner on this blog! Be sure to include an email add in the following format for i.e. 123Mercy[at] yahoo[period]com for contact! I received a paperback copy of this title from WORTHY PUBLISHING as part of their blogger review program . I am disclosing this in accordance with the FTC 16 CFR, Part 255 'Guides concerning the use of endorsements and testimonials in advertising. I was not asked to write a positive review and all opinions expressed are entirely my own. In 1870 Mail Order Brides seemed a perfectly normal way to seek a mate, not unlike lonesome hearts seeking their soul mate through online search these days. 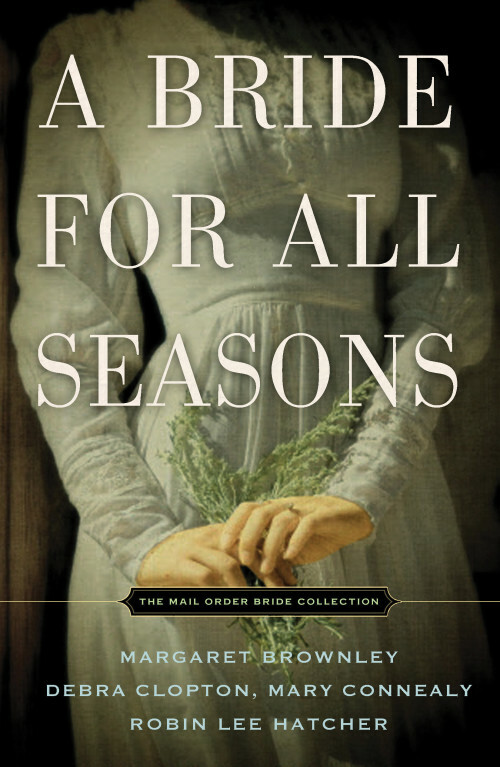 In the four novellas compiled in 'A Bride For All Seasons', Melvin Hitchcok, Editor of The Hitching Post Mail Order Bride catalogue 'for the discerning, lonely, or desperate' might just offer the answer for the four men who placed their advertisement in hopes of meeting the lady of their dreams. Melvin however decides to play Cupid and unbeknown to all parties involved edits their correspondence, at times with hilarious, even dramatic results. Each Christian Historical novella offers a different seasonal background, colourful characters, fun and sweet plot lines, and provide readers with just the right entertainment during these hot Summer evenings. Of the four authors, only two were familiar (Hatcher and Connealy) and the novellas format is usually not my first choice yet each story seemed to flow perfectly together, proving these talented writers know their craft well and make a formidable team. I am happy to say the authors' interviews included with the four novellas revealed there will soon be a second book on the market called (Four weddings and a Kiss). Note: Don't miss the Glossary of Mail Order Advertising Terms on page 98 guaranteed to bring a stitch or two! (My favourite is 'Possesses natural beauty: don't let the false hair, cosmetic paints, or bolstered bosom scare you!'. Robin Lee Hatcher, Mary Connealy, Margaret Brownley and Debra Clopton: Thank you for a fun read! Keep it coming Ladies! Suitable for any age and earning a 5 stars! 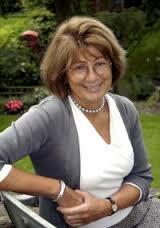 New York Times best-selling author Margaret Brownley has penned more than twenty-five historical and contemporary novels. Her books have won numerous awards, including Reader's Choice. 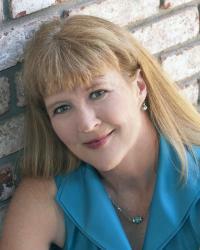 She has published the Rocky Creek series, and A Lady like Sarah was a Romance Writers of America RITA (C) finalist. Happily married to her real life hero, Margaret and her husband have three grown children. Award winning novelist Debra Clopton is the popular Mule Hollow series--the town readers wish was real. She has written 23 books since 2004 and writes books that give God the glory and helps you meet life with a smile. Her books are thought provoking, fun entertainment. Debra's awards include: Inspirational Readers Choice Award, Book Sellers Best, RT Book of the year and others. Her nominations include the prestigious Golden Heart, The Carol, The Holt among others. Best-selling novelist Robin Lee Hatcher is known for her heartwarming and emotionally charged stories of faith, courage, and love. 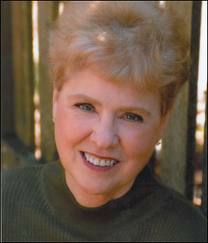 The winner of the Christy Award for Excellence in Christian Fiction, the RITA Award for Best Inspirational Romance, the RT Career Achievement Award, and the RWA Lifetime Achievement Award, Robin is the author of over 65 novels. The authors are celebrating with a fun 12 Days of Unexpected Packages Giveaway! 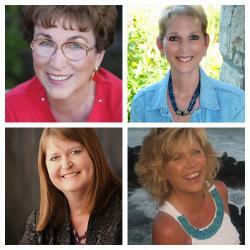 Between July 12-23 visit the authors’ Facebook Page to enter to win a new giveaway each day. 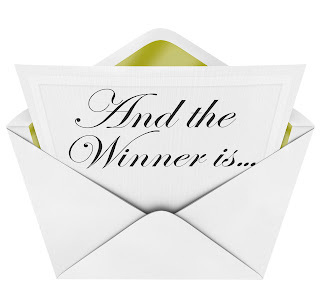 Winners will be announced at the Facebook Author Chat party on July 23rd! Such fun! We found a lot of these little formations above ground, ants perhaps?